Traditional Italian patisserie made with apples, creamy panna cotta and "fregoloti" cake from Trentino. 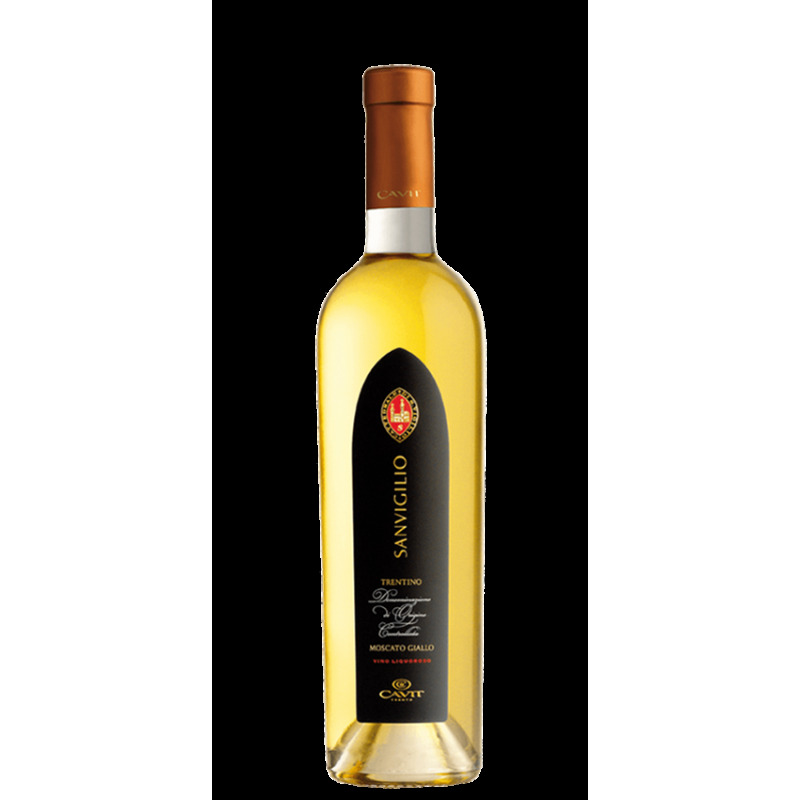 Yellow Muscat is traditionally vinified like a white wine and a short cold maceration of the skins is made as to allow a better extraction of the aromas and the colour. After the alcoholic fermentation, an addition of alcohol is made in order to obtain a "liqueur wine". Golden yellow colour; intense and delicate bouquet with clear aromatic notes. Appealing and sweet flavour, good and elegant structure, charming warm sensation on the palate and peculiar character. Some vineyards in the Vallagarina valley, calcareous soils in the municipalities of Besenello and Mori.